Here’s a really amazing recording! 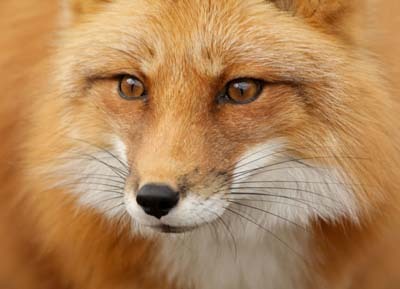 This morning at 5:15am, as I walked out on my front door on my way to my car, a nearby Red Fox (I think) suddenly began giving loud barking screams, set against the dawn chorus. I have heard this fox several times over the past few weeks, usually in the wee hours of the morning and only through my bedroom window. I tried recording him one other time, but he/she took off as soon as I opened the front door. All I got was some very distant calls. How do I know this is a Red Fox? Well, I don’t know for certain. I’ve never recorded one, but I’ve heard several Red Fox recordings by others that feature the same screaming bark. To complicate matters, once I saw a Gray Fox on our property. Might the Gray Fox give the same call? Does anyone know? And what does this call mean? The fox repeated the call maybe twenty or more times from one spot, before moving to a more distant spot and doing the same thing over again. Might it be a male or female looking for a mate? I personally have no idea, but my friend Wil Hershberger (see comment below) says he has read that females do this when looking for mates. Now that’s interesting … the female crying out for a mate (unlike in birds and mammals such as Elk, where the male does most of the advertising). NOTE: My recording buddy Bob McGuire just sent me the following, a similar-sounding recording he made in California in 2012. But this features the screams of a Bobcat, not a fox. And Bob actually saw the Bobcat. This confuses the issue a bit, doesn’t it? In the video, if that’s a “ritual” fight between the two vixens, even to the end, I’d hate to see the real deal!